Lindi here–Whoops! No, it’s not Lindi–It’s Ane Mulligan. Hello. My name is Ane Mulligan and I don’t write romance. There. I’ve confessed. However, it’s not totally accurate. I hope my nose doesn’t grow. You see, I did write two: A Magnolia Blooms in Winter, which will come out this November from Firefly in the Southern Seasons Collection, and Love is Sweeter in Sugar Hill, in the Coming Home ~ A Tiny House Collection, May 2017. When I wrote A Magnolia Blooms in Winter, it had a different name and was for an indie collection of Christmas romances. Then Firefly wanted it for their collection, and the other one wasn’t going anywhere, so I sold it to Firefly, who renamed it. I love the new name. Then some writing buddies decided to do a collection and I said I’d join them. We agreed on a tiny house being the connection for all seven novellas. For some unknown reason, mine turned into a romance. You would think with two critique partners who both write Inspy historical romance, I’d have it down. Wrong, little scribe. In fact, one of the comments from Michelle Griep on a scene was, “This sounds like a trussed up turkey!” Uh … yeah. She was right. I can get the smoldering eyes description down. I can get the tingles when he touched her hand. But thoughts … not so much. I’m chuckling as I write this, because it truly was funny. Fortunately, my CPs helped me turn my hero into a sigh-worthy one. When I titled this post, I paused on the word “unromantic” in the title. Actually, I am a romantic in the true meaning of the word, but not in the sense of romance. I’m a bonafide writer romantic, meaning I see a story everywhere. I see old homes, some empty and falling down and right away, I’ve got a story about who lived there and what happened, adding whether the house haunted—that depended on the windows. Hubs rolls his eyes and keeps driving. Here’s where this confession gets personal. My hero-husband is a Brit. But don’t conjure up images of Hugh Grant. Believe me … not all Brits are romantic like him. Don’t get me wrong; my Brit tries, but somehow he’s not the model for a novel hero. What? You think I’m mean? No way. I’m just realistic. You want proof you say? All right … here’s what happened when my dear husband tried to plan a romantic Valentine’s Day. This was back when we lived in Southern California. That should tell you something. He decided we’d take our boat out for a Valentine’s Day cruise. The Aney Lea (okay, I’ll give him that one; it was romantic to name the boat after me) bordered on small craft but was a respectable 25-foot and slept six. We had a lovely time as long as he stood with his eyes on the horizon to avoid getting seasick. Don’t even ask why a man who gets seasick owned a boat. But as I was saying, we had a lovely time … until we came back. At the end of a cruise, my job on the boat was to climb over the side of the rail and perch on the edge of the bow, hanging on to the railing. As we approached the dock, I’d wait until we were about three feet away then push off, leaping backwards onto the dock to keep the boat from crashing into it. The channel where our slip resided had a good current. A good strong current that ran at a 45-degree angle to the dock, necessitating stellar mariner skills. That Valentine’s evening as we pulled into the slip, the current was a bit stronger than usual. A storm was gathering in the Pacific, churning up the waters in between Catalina and Long Beach Harbor, where we kept our boat. An unexpected surge in the current caught the bow threw it on a swift collision course with the side of the dock. To avoid a crash and possible hole in the bow, my husband threw the boat into reverse. Just as I made my leap. Making a frantic grab for the railing, I managed by the grace of God, to catch it. I hung there, legs swinging in a blind search for solid ground—or solid dock—and connecting with nothing but air. Seeing my hands firmly welded to the bow rail, and because the present danger had been averted, my dear husband laughed himself silly. Are you beginning to see my point? Fortunately for my Brit’s sake, a gentleman strolling along the dock and obviously not a Brit, saw my dilemma. Heroically, (I’m sure his hair was billowing provocatively in the wind) he managed to reach my ankles and pulled me, and the boat, to safe mooring. The entire time my husband’s laughter could be heard coming from the fly deck. With my feet back on terra firma, I seriously entertained thoughts of murder and mayhem. So you see, my dear husband is not the romantic hero of novels … unless perhaps, you wrote murder mysteries. Oh, and just in case any of you are worried about the state of our marriage, this was, to ease your minds, over four decades ago. My Brit still breathes. Very carefully if we’re around boats. Maybe, I’ll stick to women’s fiction and leave the romance to people like my CPs and Lindi Peterson. One lucky commenter will win an e-copy or print version (winner’s choice) of Coming Home-A Tiny House Collection! 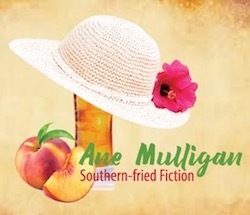 Award-winning author Ane Mulligan writes Southern-fried fiction served with a tall, sweet tea. 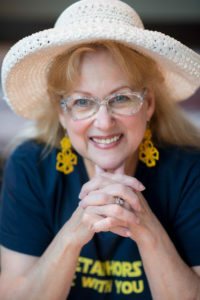 She’s a multi-published novelist and playwright. She believes chocolate and coffee are two of the four major food groups and lives in Sugar Hill, GA. You can find Ane at www.anemulligan.com or my Amazon Author Page. Thanks for sharing the story! Going outside of your comfort genre is probably really difficult. Oh boy, was it ever! But, strangely enough, I’m finding I like it! Hi Lindi and Ane. Nice to meet you Ane- thanks for sharing about yourself. I had to laugh at the boat story, I could see elements of my husband and I in it!! He is also not what one would describe as romantic- at least not in any traditional sense! (Although, he was away on a school camp over our last wedding anniversary, 15yrs, and arranged for our boss to buy flowers and store them in her office to give to me with a card he had made:), but I wouldn’t change anything. Hi Lindi! Welcome Ane! Delightful blog, which made me chuckle early this wintry morning in SW Michigan. Can so relate with your story from the 1970s, a historic decade – graduated from college, got married, and had our first son in that wonderful decade. Your story has elements of my husband, who is part Brit and very few romantic gestures. Love the concept of writing romances with a tiny house motif. Always enjoy being introduced to new authors, new series, and new stories. Best Wishes. What a great Valentine’s Day story and memory! 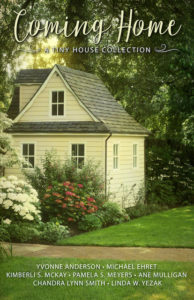 I think writing a series of stories with tiny houses is a creative idea-we hear about them so much these days. Nice to meet you, too, Melanie! I enjoyed your story of the boat. I agree chocolate and coffee are necessities of life. Hilarious story! My husband isn’t romantic either but he can be on occasion. Fortunately, I prefer the steady day to day ways he cares for me over the flashy traditional romantic things. I can’t imagine living in one of those tiny houses but I’m sure I’d enjoy reading about it. Hi Ane, I enjoyed your story. You gave me a chuckle. Are you sure you don’t write comedy? :) I’m glad you lived to share your story and that your husband is still kicking. I’m also married to an un-romantic husband with several disaster stories of my own. Have a great week and happy writing. Thanks, Kimberly. Well, I do on occasion write comedy. I’ve published a couple of comedy dinner theatre scripts. :-) And my Chapel Springs series has a lot of that comedy in it. Thanks for a funny story. I like to read about tiny houses but couldn’t imagine living in one. I love chocolate and hot tea! We didn’t realize it until after we were married but neither my husband nor I like coffee. We are both tea drinkers. God bless! Love your story……good laugh for the day! It is nice to welcome a GA lady…..I am about 2 hrs. east of you. I read your Chapel Springs Revival and loved it and an anxious to read more of your books. Wow, thanks, Jackie!! If you’re ever in my area, give me a shout on Facebook messenger. I’d love to share a cup of coffee (or tea) with a reader! Thanks for the chuckle this morning! The tiny house stories sounds interesting. I personally don’t want to live in one at this point in my life( I have 4 teens). Have a great day! Wow, Beth! You deserve a medal! FOUR teenagers??? However do you do it? I loved this blog post,Ane. I was laughing,seeing you being pulled by the ankles to the dock. That must have been a sight. I love tiny houses and dream of owning one. Thanks, Linda. It was definitely a sight, that’s for sure. lol And I’m delighted to find another tiny house lover! Oh Ane, I’m giggling wildly here over your story! That describes my marriage perfectly. :) Love abounds, but so does mayhem and laughter at each other. Romance from my hubby is bringing home a starbucks to me – and that is exactly how I like it. Anyone who brings me coffee deserves high status! Thank you for sharing the fun post. It made my day! It was my pleasure, Tina! A collection of stories set in tiny houses sounds really interesting. I can’t imagine living in a true tiny house but reading about it would be fun. And some of my fellow authors hadn’t realized they were out there. One of the authors, Kimberli McKay and her husband built one as a weekend home in the mountains after she wrote the story! Waooh! I enjoyed your sincere post. Had to laugh hard as I ‘see’ you swing at the dock. Talk of miscalculation! Well done Sis. Hi Ane, nice to meet someone from Sugar Hill Georgia. I am sure it has grown quite a bit since we lived in the Snellville, Grayson area of Gwinnett County back in the 70’s and early 80’s. At that time, Grayson only had a population of 600. I am thinking that you live near that huge mall they built in the Buford area. It blows my mind thinking that a mall was built there. Back then it was a rural area.When we were last in the area they were clearing the land for the Mall of North Georgia. Really enjoyed hearing about your Valentine’s Day escapade. So glad the guy was able to help you since your husband your husband took such delight in laughing about. My husband and I were married in 1973. It’s nice meeting others that were married around the same time and still with each other. Hi Lindi, thanks for sharing your writing with us. Thanks for sharing. My husband is also a Brit. This is such a great and funny story! I read it to my hubby, and we both roared! I look forward to reading more of your books! Thank you! I hope you enjoy them! The Chapel Springs series is humorous. I believe chocolate and coffee should be part of our food pyramid too! Lindi, thanks again for allowing me to share with your readers!~ It’s been fun. Nice to meet Lindi and And through this post! Looking forward to reading both of your books! Ane, I was seasick the only time I rode in a boat so I know how he must have felt. No boats for me! That should have been Ane, sorry for the typo! I enjoy watching the “Tiny House” programs that are on the television. Mind you, it is not for me. My house is just the right size and the thought of moving makes me ill. Thanks, Anitra. I still chuckle at the image of me flailing. It was funny. A real “Lucy” moment! Awesome post Ane! You made me smile all the way till the end :) you know how to capture readers attention! Blessings! My sister loves tiny houses and has always wanted one. I can’t wait to tell her about a whole book revolving around tiny house romance! Thanks so much! I hope she enjoys it. That was so funny! 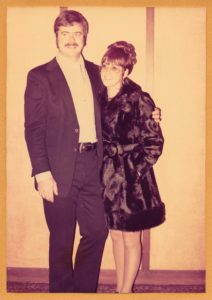 Hubby and I have been married since 1969. We had four kids in 19 years. Our daughter just had baby #4 , our #8 grandbaby. We are retired now but still active in our Church. Very enjoyable post.